Our client is a British multi-national investment bank and financial services company. As well as being involved with investments, it also provides personal banking, corporate banking and wealth management. In addition to over 70 branches in the UK it operates in 50 countries across Europe, America, Africa, Asia and the Middle East and employs more than 130,000 people worldwide. 2bm were commissioned to build a cold aisle containment solution. However, what was unique about this project was the fact it was free standing suspended cold corridor – the first of its kind for Minkels in the UK. 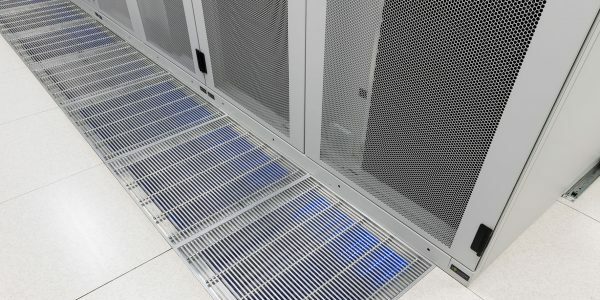 The bank made a decision to merge two data centres and consolidate onto one site in West London. 2bm’s task was to provide a solution that not only met the banks’ immediate needs for consolidation but provided scope to increase capacity further in the future. 2bm needed to suspend two 18-metre containment aisles without the use of supporting beams or posts in-between the cabinets, creating a free standing cold corridor. This meant that it was space saving, giving the client full aisle access to the cabinets. Whilst we were presented with a clean canvas to work within, we were challenged in working within a live environment, during normal working hours and in a room which was divided into various sections. 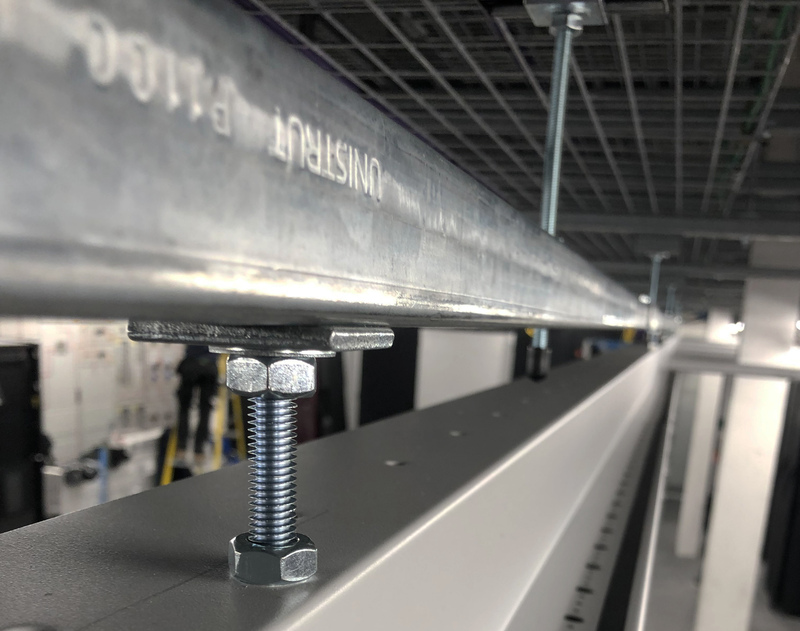 In basic terms, the 2bm solution incorporated the building of a free-standing cold aisle containment system, centred around a single channel unistrut mechanism that supported the walls. 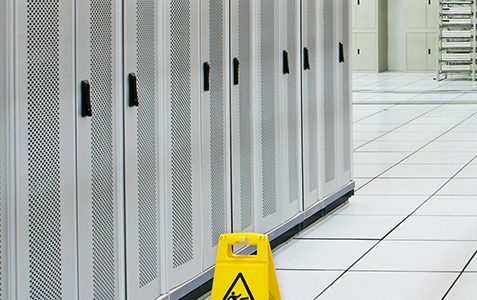 The data centre was, and would remain, populated with a diverse size range of cabinets, manufactured by an equally diverse range of suppliers. Therefore it required a highly flexible, configurable and easy to adjust system and ruled out the option of providing conventional cold aisle containment. The solution also had to take into account the various sizes and different manufacturers of cabinets. It was important when installing the solution, that the unistrut was the same level along the whole 18m in order that each beam was aligned perfectly. The ability to move the unistrut left and right offered great versatility, helping to ensure that the Minkles roof system was level at all times. 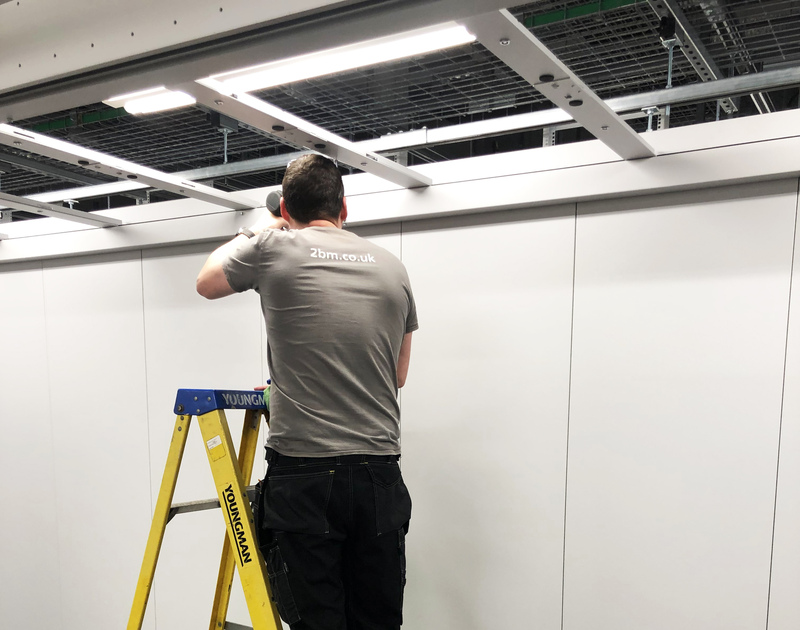 2bm installation engineers successfully completed the first free standing cold corridor (FSCC) solution in the UK with a system that was suspended from the ceiling. As well as space saving the solution provided the client with full aisle access for the cabinets.